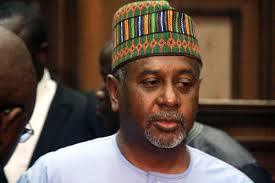 Transparency International (TI) has criticised Col. Sambo Dasuki, a former National Security Adviser (NSA) for calling Nigerian soldiers "cowards who ran away from Boko and telling stories of poor equipment" during his speech at the Chatham House in London in January last year, Allafrica.com reports. The agency's Programme Manager for Conflict, Insecurity and Corruption, Leah Wawro, slammed Col. Dasuki during a speech at an event on 'Corruption, Conflict and the Role of the International Community' in London, describing the former NSA's claims as "appalling". She lamented that instead of providing the Nigerian troops with the equipment they needed to protect themselves and the population, "Dasuki allegedly created phantom arms contracts for helicopters, fighter jets and ammunition", stressing that his arrest for allegedly diverting $2.1 billion meant for arms purchase "shows just how appalling these statements were". Describing 'Dasukigate' scandal as "a particularly striking story", Wawro stated that the "problem of corruption in the Nigerian defence establishment is widespread". "Research at Transparency International Defence and Security, completed last year found that (Nigerian) soldiers don't receive their allowances on time, which creates frustration and has led to defections and even led soldiers to sell goods and equipment to Boko Haram". She said corruption in the defence and security services "is particularly dangerous", explaining that the security forces are a country's first line of defence when it comes to protecting peace, establishing the rule of law, and reducing instability".